Twenty-two sculptors from nine countries have started working on the sculptures. Organized by Global Art Works, the festival will cover an area of 10,000 square meters area and feature around 200 sculptures. 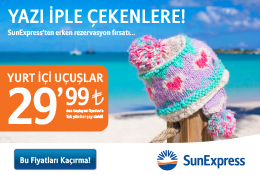 Festival director Cem Karaca said the festival was set to open in its new place on the Lara Birlik Beaches on May 15. 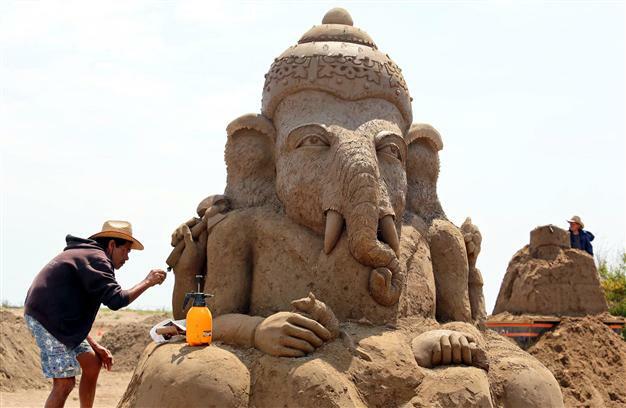 He said the festival was one of the largest sand sculpture events in the world, adding that this year they would increase the amount of sand to 15,000 tons. “Visitors will be able to see the Seven Wonders of the World in the sculptures from Greek mythology’s Poseidon to Indian mythology’s Ganesha and from the Hanging Gardens of Babylon to the Egyptian pyramids,” said Karaca. Karaca said that last year they had made a decision to make the world’s biggest sand sculpture and apply to the Guinness Book of World Records. “But at the last minute, because of a change of place, we had to postpone this work. Works should have started a few months ago for such a big sculpture. We did not have time because of the move,” he said.